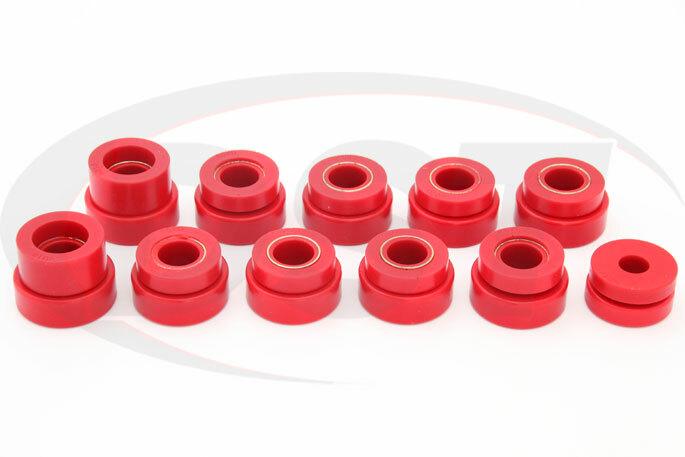 This Polyurethane Body Mount Bushing Kit from Energy Suspension will replace the original rubber mounts and restore the body height of your 1980-1983 Jeep CJ5 or 1980-1986 CJ7. 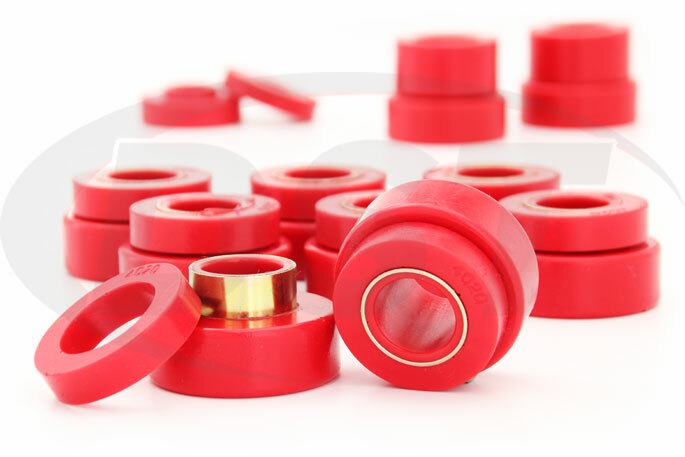 Polyurethane body mounts will last much longer than rubber and correct body to frame alignment. 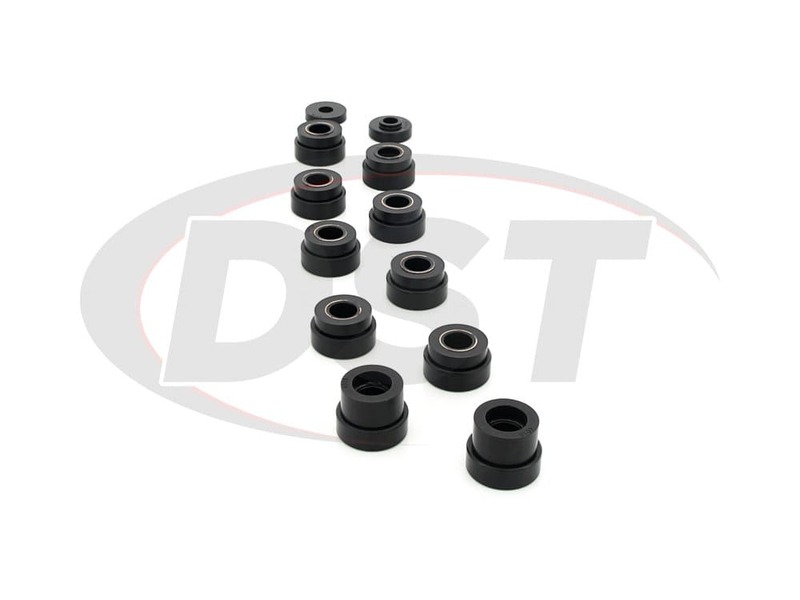 These body mount bushings can fix issues such as doors or hoods that are hard to open or won't latch or raise a sagging side of your Jeep to it's original height.  What's Between the Body and the Frame? Your Jeep's body mounts separate the frame and the body, absorbing some vibration and keeping the body at a consistent height. 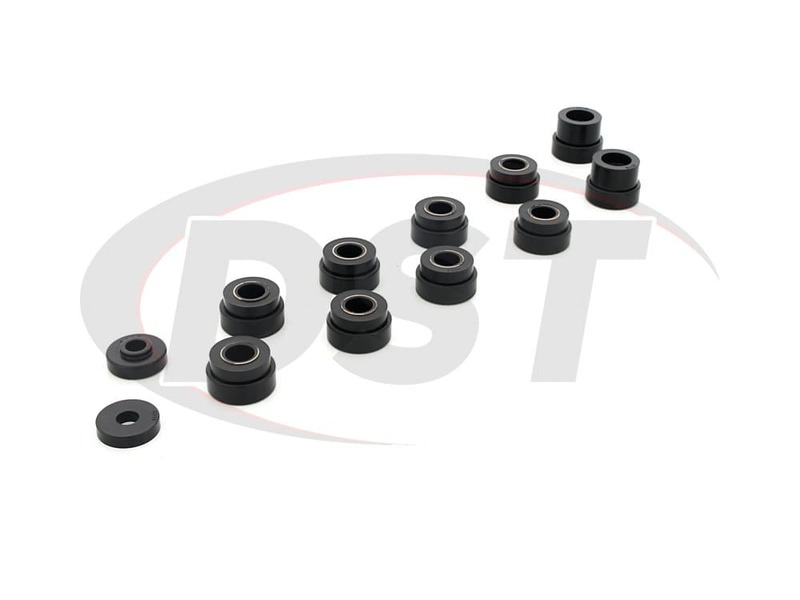 The original body mount bushings on your Jeep are probably long gone by now and you might be on your second or third set since rubber bushings have a limited lifespan and off-roading can cut it even shorter. If you've recently obtained a CJ5 or CJ7 to restore then you'll want to check the condition of the body mounts, especially if the body is visibly sagging or leaning to one side. When those mounts are worn or degraded you can have a hard time getting the doors and hood of the Jeep to latch or they might be difficult to open. 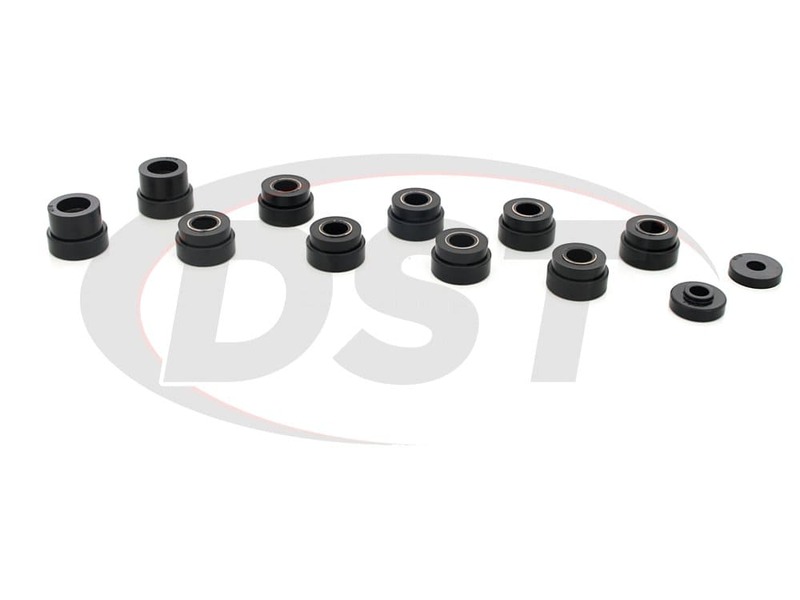 Whether you want a more wear resistant upgrade to your Jeep's body to frame connection, or you're restoring a Jeep and want body mount bushings that will last for life, Energy Suspension has the answer with their Polyurethane Body Mount Kit. These polyurethane bushings will return the original ride height to your Jeep and eliminate any annoying sagging or leaning of the body. Since your Jeep's body to frame alignment will be returned to normal you won't have to slam your doors to get them to latch or fight with the hood to get it open. 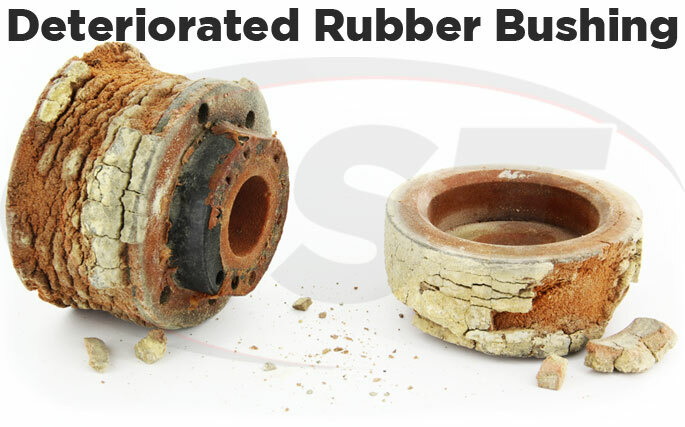 Suspension.com also offers a lifetime warranty for this kit and we fully expect the bushings to last the life of your Jeep. Great product. 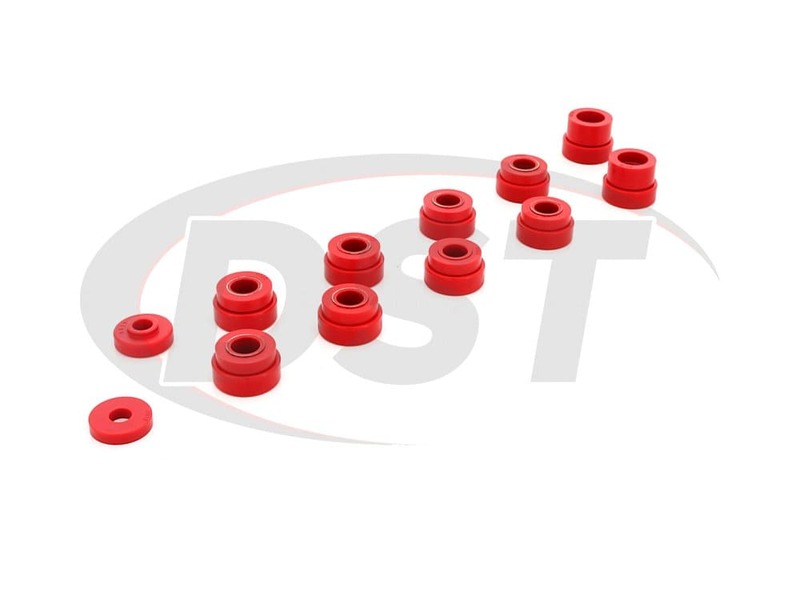 Wish there was an option for a bolt kit..
starstarstarstarstar" great parts...high quality "
Can I buy just two of the bottom body mount bushings #4020 out of kit 2.4102? 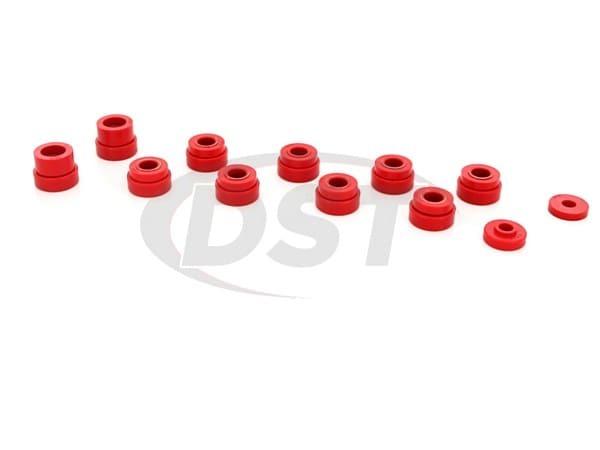 Yes, you can buy just the bushing #4020 out of kit 2.4102. Does part number 2.4102 come with the new washers? No, part number 2.4102 does not come with the new washers.